You're Invited: Join Us for Summer 2nd Tuesdays! 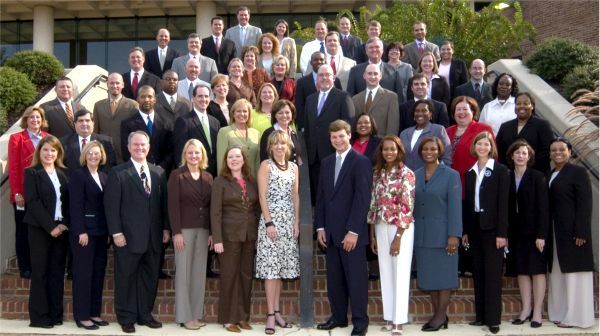 Congrats, Leadership Tuscaloosa Class of 2007! Well Done, Forerunners Class of 2007! Capstone Village hosted members of The Chamber at our last networking event on May 8 and many turned out on the beautiful summer evening in Tuscaloosa. They treated us to warm hospitality, hors d'oeuvres prepared by their chef and lovely piano music. We toured the top notch facility, including a spacious resident suite. We mingled in the common areas, which are decorated to a tee, on the patio and in the pub. It was a productive and enjoyable event. Our next mixer will an exciting one at Capitol Park hosted by Tanner and Guin, LLC and Palmer and Burns, PC on June 12 from 5 PM to 7 PM. Please plan to be there! Don't miss out on this major member benefit and opportunity to market your business. 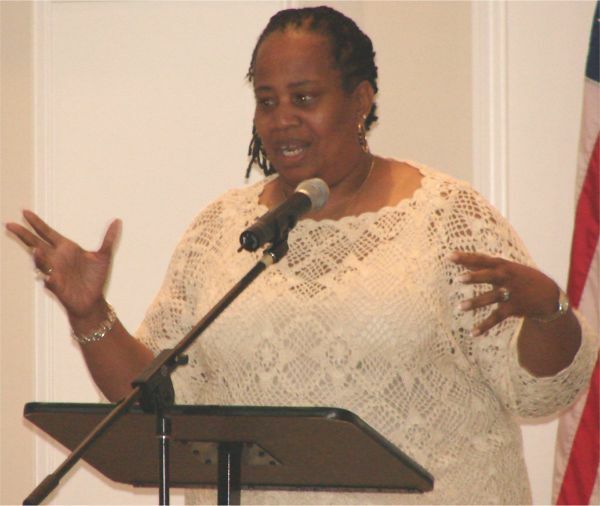 Twenty outstanding women were nominated for an award and were recognized. Included were Ramona Andrews, RaCon, Inc.; Lisa Baird, Primadonna's, Inc.; Verta Barr-Meherg, Quality Mazda/Volkswagen; Alicia Barrineau, Express Personnel Services; Candice Burge, Bank of Tuscaloosa; Shirley Crowder and Loretta Fretwell, Tuscaloosa Blueprinting and Reprographics; Suzanne Dowling, Arts 'n Autism; Jennifer Hamner, Bow Regards; Sheryl Hendrix, DCH Health Systems; Susan Hyde, DCH Regional Medical Center; Renea Jones, Regions Bank; Michele Massey and Susan Tucker, Tucker-Massey Marketing; Alice Maxwell, Advantage Realty Group; Lisa McCollum, Nucor Steel Tuscaloosa, Inc.; Paige Oldshue, Rosen Harwood, P.A. ; Joy Orr, Citadel Broadcasting; Paula Quarles, Banks, Quarles, Plumbing, Heating Cooling; Judy Scully, Express Personnel Services. Has worked full-time in a current field for fewer than 5 years and successfully demonstrated a desire to achieve great things. Just beginning to "get her feet wet" in the world of business, community and personal life but is well on her way to becoming successful at all of it. You may not know her name now, but you will. Has worked full-time for more than five years in a chosen field and successfully demonstrated professional influence through numerous accomplishments, career growth and advancement, innovative and creative thinking, and initiative at work and in the community. An example to others in balancing the demands of professional and personal life. Defines what every woman wants to be when considering the juggling act we all face. Has a long standing resume of outstanding achievement in her professional life and in her desire to serve the community she lives in. An example of hard work, dedication and strong character resulting in a great success story. Left what was comfortable and familiar to follow a dream. In pursuing that dream, she took great risks but, in turn, found professional success and true happiness. She left her "roots" and found her "wings". Efforts in the past year were instrumental in developing and pushing forward significant projects or ideas that support and encourage women in the workplace. This is only the second year of existence for the Women In Business Council. According to Carol Armstrong, chair of the committee, the mission is "to support women in business and position its members for personal and economic success. We provide opportunities, training, and resources for development of professional excellence and success for women in West Alabama's business community." Angie Askew, chair of the awards luncheon adds, "These awards will recognize women who have set the standard for the rest of us." Laura Farmer has joined the Chamber's professional team in Member and Investor Relations. Laura is a graduate of The University of Alabama in Communications. Her experience includes working as a realtor with Hinton Real Estate, then serving as Regional Director of the American Heart Association and, most recently, working at Tucker Massey Marketing. She is also an active member of the Junior League of Tuscaloosa. Laura is married to Brandon Farmer and they have two children, Mary Madison and Olivia. Please welcome Laura to the team! Co-sponsored and hosted by the Rotary Club of Tuscaloosa and The Chamber of Commerce of West Alabama. Watch for registration details coming soon! McKenzie Courts was first built in West End more than fifty years ago, in 1952, and was named after Andrew McKenzie, Tuscaloosa's first black physician. Over the many years since, the once appealing brick duplexes have really declined in condition and Tuscaloosa Housing Authority officials say the facilities are now outdated and distressed. In revitalization, they hosted a Groundbreaking for the new McKenzie Hope VI project on June 5. The venture is partly funded by a Hope VI federal grant. Board Chairman Cordell Wynn opened the ceremony saying, "This is a day we've waited on for a long time. Good things come to those who wait." In all, 240 apartments and 28 single family homes are expected to be built there by Dec 2008, to qualify for some tax credit financing. Construction crews will begin immediately. The Housing Authority will lease the land to developer Doug Hollyhand, from the West side of Tuscaloosa himself, who will build and own the apartments. He's planning a modern and pedestrian-friendly community. At the end of a 30 year lease, the Housing Authority will have the option of buying the development at a predetermined price. The Hope VI grant was obtained by the Housing Authority in partnership with The Chamber back in 2005, when Jim Flemming was our Chairman. It took a trip to Washington and some convincing, but those efforts are now coming to fruition. Mayor Walt Maddox attended the Groundbreaking and said that "hope" is coming into a community that has suffered from neglect for years and that we are "sowing the seeds of change." 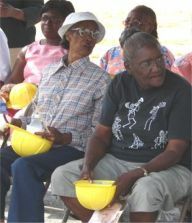 The Housing Authority handed out much-needed fans at the event, each one with a resident's face on the front, part of the "Faces of Hope" ad campaign. Touching stories on the back side added a nice, personal touch to the event and energy there. Housing Authority Executive Director Rick Herbert said the project is "an incredible opportunity" for his organization and the area and this could be the starting point for a whole new West End. Our Chamber President, Johnnie Aycock says the revitalization is good for our economy and livability and that each citizen should enjoy good, livable housing. Think "Make One Call to City Hall." It's a single phone number for all non-emergency city inquiries and services--No more wondering which department to call. The 3 digit number can be called from any phone within Tuscaloosa, even from cell phones. The City of Tuscaloosa held an official unveiling ceremony on June 5 to introduce the new system. IT Director Doug Barnes opened the presentation and thanked the City of Mobile, especially, for their partnership and help in developing the system, saving our city hundreds of thousands of dollars and making the system a reality. With great appreciation, Mayor Maddox then presented Sam Jones, Mayor of Mobile, with a key to our great city. Tuscaloosa City Council President Harrison Taylor pointed out that the Mayor's foresight led to this creation. Dawn Barnes, the 311 Call Center Manager was introduced and spoke a bit about the program. Office hours will be Monday through Friday, 7AM to 7PM, and, during those hours, a friendly person will assist callers. After hours, the voicemail system will provide information and an opportunity for the caller to record a request, which will be handled the next business day. You may choose to submit a request online by logging onto www.tuscaloosa311.com. There's also a link to the site from the city's main web page, www.tuscaloosa.com, and on our home page, www.tuscaloosachamber.com. Tuscaloosa 311 does not handle requests for agencies other than the City of Tuscaloosa, such as Tuscaloosa County or the State of Alabama. The goal is to make City Hall more efficient by combining customer service and technology to make local government work for you. Also, it should cut down on non-emergency phone calls that tie up 911 operators. Remember "Make One Call to City Hall." There is no charge for the service. As always, do call 911 for emergencies. Members of the Northport Advisory Council met at Northport Medical Center on June 4 to hold roundtable discussions on the future direction and development of Northport. Local business leaders, Mayor Harvey Fretwell, members of the Northport City Council and Chamber staff were present and discussed business and retail development, traffic and highway situations, infrastructure, aging water and sewer issues and riverfront and residential development. Congressman Artur Davis surprised the group with an impromptu visit and thanked them for working to better the City of Northport. The Northport Advisory Council meets bimonthly to discuss ways to enhance the overall quality of life there. Tuscaloosa County Commission, the Arts Council of Tuscaloosa County, and a growing number of stakeholders. The purpose of the "Culture Builds" strategic initiative is to develop a comprehensive creative community and cultural development plan and implementation process that will enhance the cultural life and livability of Tuscaloosa County and that will directly impact and stimulate the economic vitality of the community. So, what is livability anyway? According to many studies and observations of quality , growth communities, livability is the defining factor for any community looking to sustain itself in today's constantly changing economy. It is a combination of a interrelated factors, including strong, innovative leadership, cooperation, lifelong learning, diversity of opportunities, design of place and space, cultural assets, economic vitality and other crucial investments in quality. To help answer questions about cultural assets, address opportunities for enhancing livability and build synergy among the diverse constituents in Tuscaloosa County, The Chamber has employed the nationally-recognized Partners For Livable Communities, led by their CEO Robert McNulty. The Partners, working with our local stakeholders, will direct a strategic planning and implementation process that is expected to be completed the first part of 2008. In preparing for our kickoff event in July, the "Culture Builds" leadership task force is currently defining and identifying stakeholders and the various public, private, educational and non-profit groups that should be involved. If you, individually, or your organization would like to be involved, you are invited to contact Johnnie Aycock at johnnie@tuscaloosachamber.com as soon as possible with contact information. We all know that today's world is increasingly complex as economies strive to form new relationships with the so-called quality of life of a place and all of the various amenities that contribute to that quality. Study after study tell us that the communities that have the insight and ability to define, seek out and apply creative strategies for livability, coupled with the will to provide opportunities to all people, and a shared vision for the future, are the ones that will be competitive and prosperous in the new creative economy. Therefore, it is essential that we ask how are we as a community preparing and positioning for the new economy, which includes a focus on building an entrepreneurial environment, developing creative human capital, nurturing cultural assets, and fostering world-class educational opportunities? Are we as a community developing a regional gathering place? Are we a destination for retail shopping, the cultural arts, entertainment and recreation? Would the new generation of young professionals and their families seek to live in Tuscaloosa, Northport and the surrounding regional communities? Are we positioned and prepared for a new generation - for a new paradigm in a livable, creative, quality economy and community? Should the public, private and non-profit sectors come together to develop a shared vision, goals and strategies to cultivate and grow one of America's next recognized livable, creative communities. The "Culture Builds" strategic planning and implementation process will help define and answer these types of questions. Among the objectives of the process include identification of our diverse cultural resources and assets - expansion of those cultural, entertainment, recreational and educational assets to transform Tuscaloosa County into a "cultural destination" center in Alabama - leverage and integrate our cultural resources to directly enhance economic development and our competitiveness as a community - and to identify, foster and implement new cultural and entertainment facilities, venues, programs and events. "To tap our potential and translate our cultural assets and opportunities into a sustainable economic advantage, the 'Culture Builds' strategic initiative is essential and valuable," according to Chamber President Johnnie Aycock. "This is a unique time and opportunity to raise the level of quality and livability of our community; and together, with our strategic partners, this can be achieved. It's going to be an exciting journey, and we invite your involvement." Watch for more details coming soon about the "Culture Builds" kickoff event in July! Adopters and Sustainers are the lifeblood of the Adopt-A-School program. Adopters give support through donated time, expertise, and financial commitments. Sustainers provide the financial support necessary for the coordination and administrative function of the entire program. In an effort to better serve and streamline the opportunities for participation in the Sustainer program, additional levels of support have been added and all levels of participation have been renamed to reflect the education arena. Businesses and organizations are now invited to participate in the Adopt-A-School program as a Board, Superintendent, Principal, Teacher, or Mentor Level Sponsor. While The Westervelt Company continues to serve as the corporate sponsor for the Adopt-A-School program, several businesses now support the program at the Board and Superintendent Levels. McGiffert and Associates, Ellis Architects, Learning Experiences, Planit Solutions, Tuscaloosa Toyota and NHS Management support Adopt-A-School as Board Level Sponsors and AFFLINK and Jim Myers Drug are the new Superintendent Level Sponsors. Participation at these levels not only includes sponsorship of the entire Adopt-A-School program, but also sponsorship in the annual Golf and Tennis Tournaments, participation in the kickoff breakfast and recognition in the all Adopt-A-School published information. The Principal Level (formerly the Gold Sponsor); Teacher Level (formerly Silver Sponsor) and Mentor Level (formerly Bronze Sponsor) were all renamed to align the Sustainer Program educational terms. Adopt-A-School, a business-education partnership program, completed its 22nd year of success in our community, proving that corporate America and our school systems can work cooperatively to make a positive impact in our community. For additional information about participating as a sustainer or adopting a school in the Tuscaloosa City or Tuscaloosa County School Systems, contact Loo Whitfield at 391-0563 or loo@tuscaloosachamber.com. 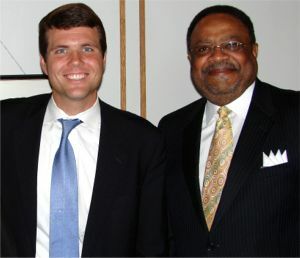 The 2007 class of Leadership Tuscaloosa graduated at a formal ceremony at the Four Points Sheraton on May 9. Leadership Tuscaloosa is sponsored by The Chamber of Commerce and the College of Continuing Studies of The University of Alabama. It's a dynamic, personal development program to help the Tuscaloosa County area reach its full potential. John Stephens III, Alagasco; Patrick Agee, Advantage Realty; Katie Butler, Best Western Park Plaza; Brock Corder, Builders Group Development; Jeanine Summerville-Garrett, Downtown Tuscaloosa Merchants Association; Abner Patton, Patton Geologics; Maia Lee, Tuscaloosa VA Medical Center; Tracy Waldrop, First National Bank of Central Alabama; Rhett Jordan, RBC Centura Bank; Oscar Barnes, West Alabama chapter of the American Red Cross; Tim Bowen, Alabama Power Co.; Angela Ward, Tuscaloosa's One Place; Tim Parker III, Parker Towing; Jay Logan, City of Tuscaloosa; Ward McFarland, Ward McFarland Inc.; Nancy Hubbard, Bank of Tuscaloosa; Shay Lawson, Charles E. Pearson, Attorney; John Oakes, Taylor Hardin Secure Medical Facility; Marie Lawrence, RealtySouth; Chris Williamson, Tuscaloosa Fire and Rescue Service; Bill Squires, Town of Brookwood; Jay Welborn, Piggly Wiggly; Liz Obradovich, Holiday Inn Express; Robert Johnson Jr., The Westervelt Co.; Phyllis Gamble, RBC Centura Bank; Holly Smith, L. Donnie Smith & Associates; Jenny Ryan, Crownover and Standridge; Leyla Goodsell, Tuscaloosa County Park and Recreation Authority; Charles Wells, Cingular Wireless; Wayne Vickers, Hillcrest Middle School; Elizabeth Hamner, Junior League of Tuscaloosa; Tracy Perkins, Whatley Health Services; Greg Gettings, DCH Regional Medical Center; Patrick Connor, Tuscaloosa City Schools; Susan Bishop, Habitat for Humanity; Robin-Anne Nelson, Evans Mahon Inc.; Evelyn Gardner, Tuscaloosa City Schools; Chris Hutt, City of Northport; Sontonia Stephens, Community Service Programs of West Alabama; Loo Whitfield, Chamber of Commerce of West Alabama; Ken King, Alabama Democratic Conference; Carolyn DeWitt Goode, University of Alabama-AREREC; George Elder, Tuscaloosa Academy; Hank Wilson, Jamison, Money, Farmer & Co., P.C. ; Margaret Purcell, University of Alabama; Chris Turner, Buffalo Rock Pepsi; Coleecia Perryman, Tuscaloosa Housing Authority; Jacque Cordle-Ramey, Children's Hospital of Alabama; Willie Lang, Lang Landscape Co.; Gladys Davis Hill, Shelton State Community College; Brandon Farmer, NHS Management LLC; Shurrun Varner, Shelton State Community College; Shelly Hood Standridge, Crownover & Standridge. The 2006-2007 Forerunners class graduated in a formal ceremony on May 10 at the Four Points Sheraton. Forerunners is a personal development program for area youth. 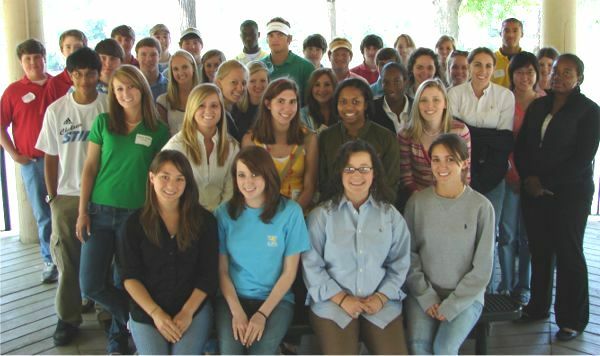 A division of Leadership Tuscaloosa, the class of is made up of juniors from Tuscaloosa city, county and private schools. They have increased their knowledge about economic, social, historical, and political needs in Tuscaloosa County. Ovik Bannerjee, Northridge High School; Lakendra Beard, Northridge High School; Rachael Box, Tuscaloosa County High School; Jess Campbell, Bryant High School; Rebecca Chae, Northridge High School; Jonathan Crawford, Bryant High School; Teresa Croom, Bryant High School; Sarah Daniels, Brookwood High School; Erin Davis, Tuscaloosa County High School; Jen Deci, Holy Spirit High School; Callie Ellis, Hillcrest High School; Nathan Guin, Northridge High School; Cherish Hamner, Tuscaloosa County High School; Anna Hayes, Tuscaloosa County High School; Luke Higdon, Tuscaloosa County High School; Jon Hughes, Northridge High School; Hunter Hocutt, Northridge High School; Jessica Howard, Tuscaloosa County High School; Sara Howard, Northside High School; Stella Key, Hillcrest High School; Anne Elise Kindred, American Christian Academy; Clare Kozel Holy Spirit High School; Marie Kyle, Northridge High School; Colby Leonard, Tuscaloosa Academy; Laura Mason, Northridge High School; Johnston Moore, American Christian Academy; Sam Phillips, Tuscaloosa County High School; Kasey Powell, Northridge High School; Jonathan Pridgen, Tuscaloosa Academy; Elliot Rowe, Tuscaloosa Academy; Jonathan Rummel, Tuscaloosa County High School; Brad Smelley, American Christian Academy; Will Smith, Northside High School; Megan Snider, Northridge High School; Emily Spurlin, Northridge High School; Cody Sullivan, Northside High School; Dorothy Thomas, Bryant High School; Elizabeth Tiller, American Christian Academy; Lindsay Wilson, Tuscaloosa County High School. 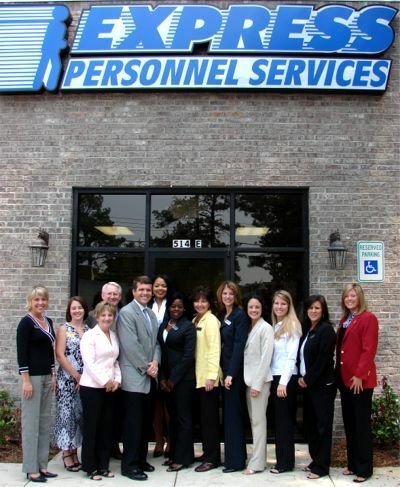 After 17 years of business in the same location, Express Personnel Services has moved to 514 Hargrove Road East, Suite E, in Tuscaloosa, behind the Meadowbrook Shopping Center. They hosted an Open House celebration on May 24 and a Ribbon Cutting on May 29. Owner Steve Scully and team have about 400 to 500 people placed in approximately 70 different businesses and organizations currently and they work with about 350 businesses on a regular basis. There's a professional/clerical side as well as an industrial one. In these areas, they aim to place clients in need of a job as well as those that may want a different job but have no time to find one. To learn more, log onto their website at www.expresspersonnel.com or call them today at 758.0080. The Creative Campus (CC) Initiative at the University of Alabama allows students to exercise creativity with outcomes that make a real difference in their community. CC is a coordinating body and resource for all arts and cultural events on campus, it fosters partnerships between departments, student organizations, and individuals. It actually developed out of an honors class, The Arts and the Public Purpose, taught by Dr. Scott Bridges. The class final was to write an arts policy for the U of A. The administration so valued the proposal they hired two of the students as interns in the pilot year of 2005-6 to turn the idea into a workable reality. Soon, more interns were added and, after celebrating their one year anniversary in the spring, the initiative expanded to three part-time professional positions and ten student intern positions. The Grand Opening of Maxwell Hall, which houses CC, was held on May 4. Coordinator Alexis Clark said, "One of the things that I love about CC is that it has been the catalyst for exciting new ventures such as the unified box office, which will provide people with a one-stop shop for cultural arts ticketing online and in person at the Ferguson Center." Big picture ideas for the future include establishing a Public Policy Center at the flagship University of the South, an Arts Institute to join arts and technology, an Annual Creativity Summit involving professionals of many areas and surrounding one central theme, a Fine Arts Center, a Blueprint Model to take to other campuses and a Creative Dorm. Chamber of Commerce President Johnnie Aycock addressed the crowd at the Grand Opening and said, "To be a competitive community, it takes creativity and an understanding that livability is a key factor...This is why Creative Campus is so very vital, exciting and stimulating for our entire region." He also said that The Chamber is very pleased to be a partner with the U of A and CC and let everyone know that we are working to extend the vision, influence and efforts in the community through our new Task Force on Cultural Assets and Livability. The first weekend in August, the 3rd-5th, is the annual sales tax holiday in Alabama, as set by the Alabama Legislature. It is expected that local communities, including the City of Tuscaloosa, City of Northport, Tuscaloosa County Commission and other area towns, will once again participate in the "sales tax holiday". 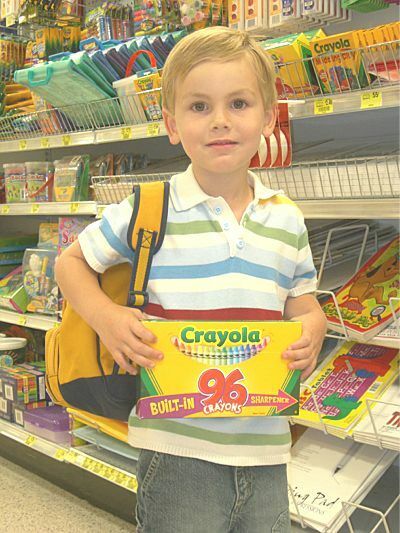 The sales tax holiday provides that state sales tax, along with local sales tax of participating local governments, will not be collected on specific items purchased for students returning to school, including clothing, computer items, school supplies, instructional materials and other related consumer goods. The first annual sales tax holiday was held the first weekend of August in 2006 in Alabama, with local governments in Tuscaloosa County participating and supporting. Denise Connell of University Mall and Chair of The Chamber's Retail Task Force says that "in addition to providing savings for local consumers preparing to send their children back to school, participating in the tax holiday will also stimulate retail sales and enhance the competitiveness of our market." To assist with preparing for the sales tax holiday, The Chamber and the City of Tuscaloosa will host a seminar for area retailers on Friday, July 13th from 1:30 PM until 3:00 PM at the City of Tuscaloosa's Fire Logistics Auditorium, which is located on McFarland Blvd. in front of Bruno's. There is no cost to attend and representatives from the Alabama Department of Revenue, Alabama Retail Association and local governments will be available for assistance and training. "We experienced positive results during last year's sales tax holiday across Tuscaloosa County", according to Chamber President Johnnie Aycock. "This is a great opportunity to stimulate retail activity, to expand our market's competitiveness into the West Alabama-East Mississippi region, and to benefit area families, consumers and the marketplace as a whole." All Chamber-member retailers are encouraged to begin preparations for the Alabama sales tax holiday and attend the Friday the 13th retail seminar. 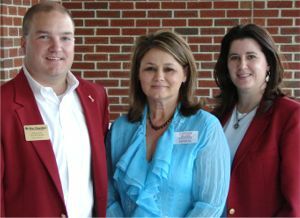 For more details, contact The Chamber or go online to www.tuscaloosachamber.com. Area shoppers are delighted. 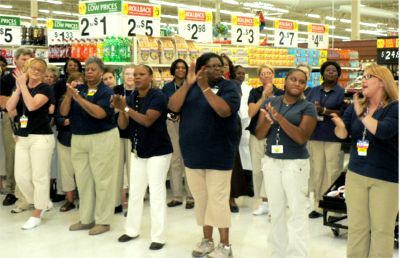 Wal Mart Tuscaloosa just completed a total store renovation and now gleams like new! 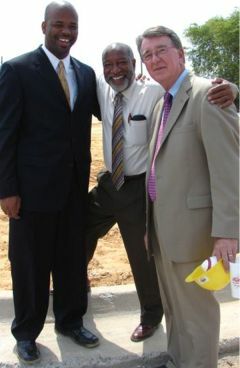 A Grand Opening with Ribbon Cutting was held on May 25 in celebration. Adopt A School Director Loo Whitfield was one of the attendees that morning. 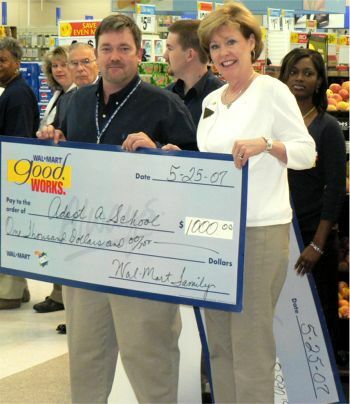 While there, she was presented with a check for $1,000 on behalf of Wal Mart's Good Works program. The business already participates in AAS as an adopter and cherished partner of Holt Elementary. Also, Manager Fred Twilley was recruited recently to help out with our Morrow Conference Room renovation. He kindly offered up a substantial monetary investment on behalf of the organization, which really helped to make the overhaul happen. This is greatly appreciated by all who work in the space regularly to better our community. Visit the fabulous new Tuscaloosa Wal-Mart today at 1501 Skyland Blvd. East. They take pride in featuring a great selection of high-quality merchandise, friendly service and, of course, Every Day Low Prices. SiteCom Technologies, LLC is known for having state of the art audio visual systems along with high standards of service. In this era of rapid change, SiteCom offers creative options along with sound practical advice. Their expert staff can assess and determine your needs for making your facility a multimedia showplace. They endorse more than 50 professional A/V products and acquire them directly from the manufacturer, enabling competitive pricing. Because it's not enough to have these components, and you must know how to operate them, SiteCom has extensive training programs on how the equipment works. They stay with you throughout the process, making sure your staff is trained, equipment is working properly, and that your facility is always on the cutting edge of technology. Sitecom is solely owned and operated by founder Kenny Smitherman. 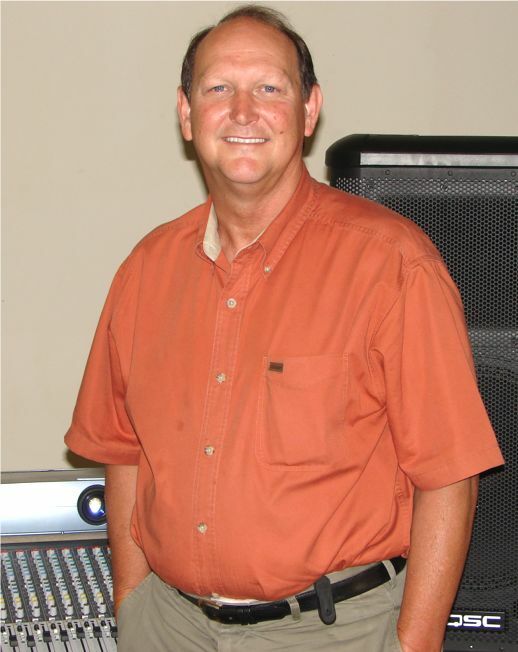 After years as a performing musician and recording engineer, he moved into the design of recording studios and later became involved with and decided to specialize in the design and installation of A/V equipment. Kenny was instrumental in making the Morrow Conference Room at The Chamber as hi tech as it is today. During the renovation, he generously donated the installation of the video and plasma screens, rewired related items and taught us how to operate the system. Thanks a million, Kenny! Call them at 366.1903, toll-free at 866.775.7721 or log onto www.sitecomtech.com to learn more about what Kenny and his team can do for you. 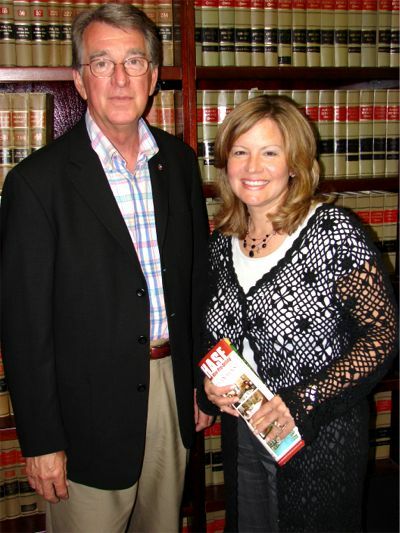 Their office is located at 3401 Greeensboro Ave., Ste 4, in Tuscaloosa.